The Acer Predator Triton 500 is a thin gaming powerhouse that packs awesome value. Gaming laptops have followed the Razer Blade on its march towards ever-thinner design. What once seemed rare has now become common. Purchasing a thick, bulky laptop now feels unusual. Even gamers must go out of their way to buy such a beast. 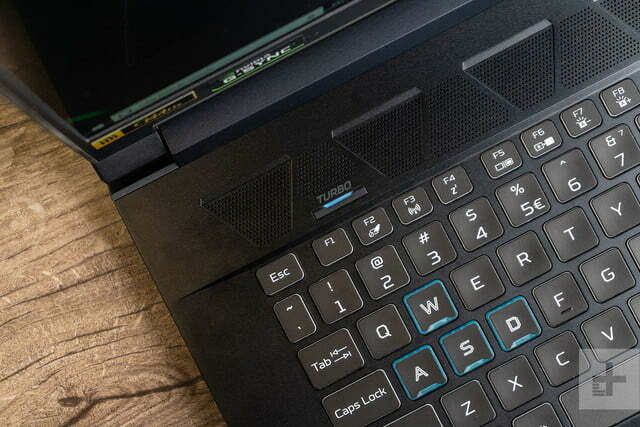 Few laptops highlight this shift better than Acer’s Predator Triton 500. Look at the spec sheet and you’d think this a straight successor to the Acer Predator Helios 500, which was an inch and a half thick. The Triton 500, however, is only seventh-tenths of an inch thick, and weighs 4.41 pounds. It’s only a hair larger, and less than a half-pound heavier, than the Dell XPS 15 or Apple MacBook Pro 15. Yet you also get Nvidia’s RTX 2080 Max-Q graphics, the best available for a gaming laptop. That’s an incredible achievement, but it also begs the question – what was sacrificed? Is modern hardware truly this efficient, or did Acer slash battery capacity and throttle the GPU to cram everything in to the Triton 500’s small chassis? Let’s find out. Some predators stalk their prey, moving silently out of sight. 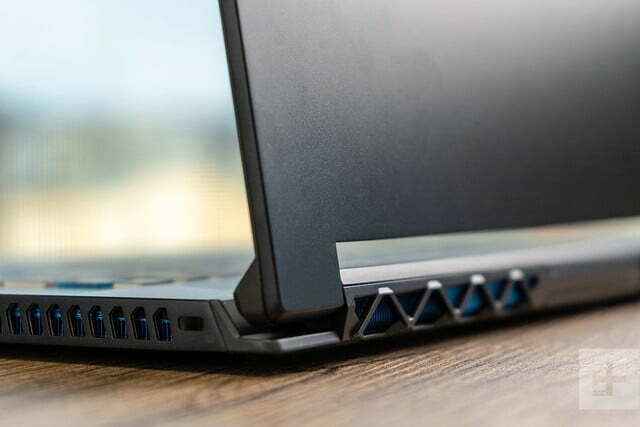 Acer’s Predator Triton 500 takes a different approach. 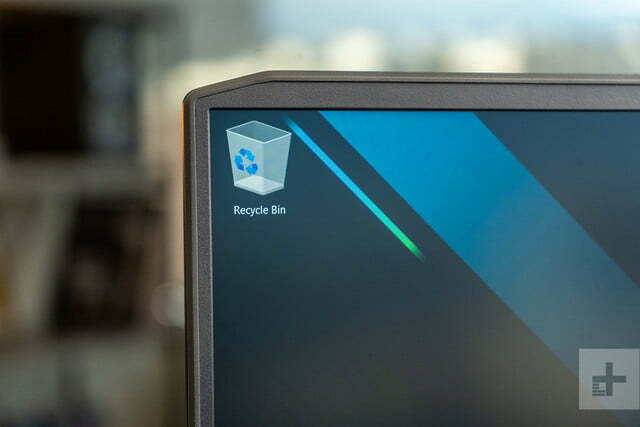 It hides on your desk and counts on its non-descript style to help it pass unnoticed. That’s not to say it’s ugly. No — that would attract attention. The Triton 500 is just generic. Its flat, deep blue exterior offers few flourishes. A repeating pattern of geometric shapes along the speakers, which repeat on the rear fan vents, are as close as the laptop comes to making a statement. I can easily imagine this laptop sold with an Asus, MSI, or Gigabyte badge instead. While the Acer Predator Triton 500 lacks style, its design is functional and offers the modern conveniences gamers will expect. It’s thin and light, as mentioned already, and has a thin-bezel display design that keeps the overall footprint small. The webcam remains up top, where it should be, and the keyboard deck provides plenty of space. It’s only a hair larger, and less than a half-pound heavier, than the Dell XPS 15. Connectivity is also a high point. 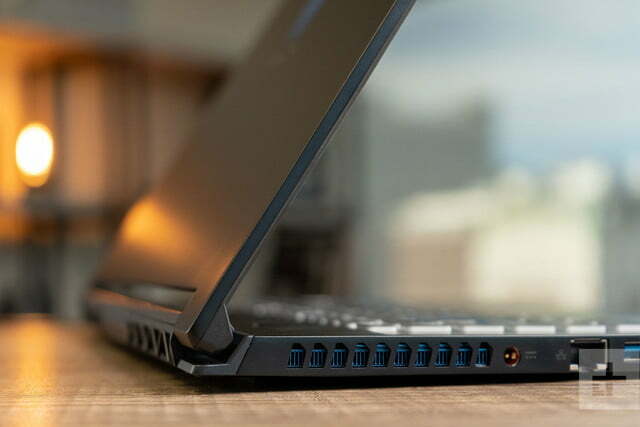 You might expect the slim profile to mean fewer options, but the Acer Predator Triton 500 squeezes in three USB-A 3.1 ports, A USB-C 3.0 /Thunderbolt 3 jack, mini-DisplayPort, HDMI, and separate headphone and audio jacks. There’s even a full-sized Ethernet port. That’s a great array of options that puts most of today’s laptops to shame. The subdued look and wealth of ports does make me wonder if Acer is trying to please gamers who also want a workstation. Razer’s Blade has popularized laptops that can work all day and play all night, and this new Predator Triton 500 can fill that role too. It wouldn’t look absurd in a meeting and has the connectivity needed to replace a desktop workstation. This strangely professional vibe continues with the keyboard. 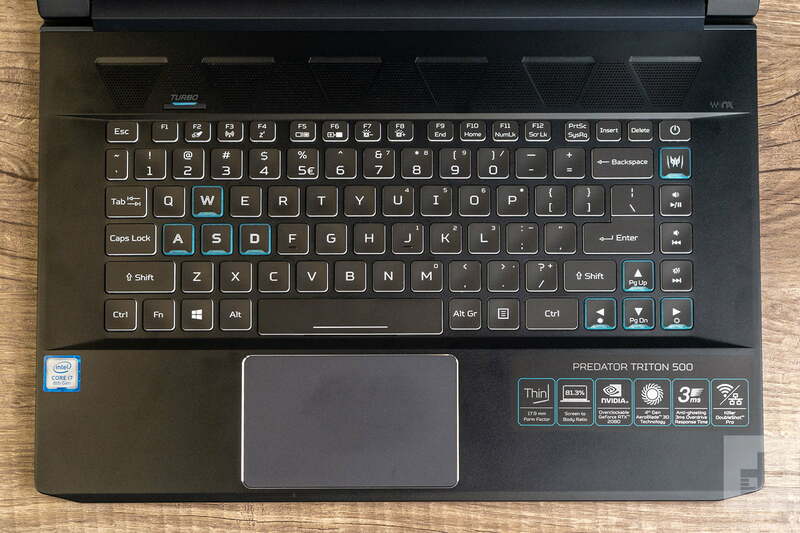 Though LED-backlit, it lacks the features you might normally expect from a gaming laptop, such a per-key LED color customization or mechanical key switches. Instead, the Acer Predator Triton 500 offers simple three-zone lighting — and that’s about it. 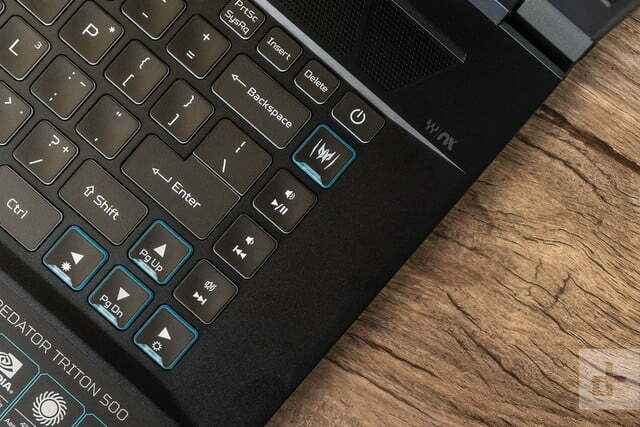 Many gamers will find that a disappointment, and we think, given its hardware and pricing, the Predator Triton 500 should include a more complex and impressive keyboard backlight system. If you can get over that, however, you’ll come to enjoy the simple and comfortable keyboard. The layout is spacious and keys activate with plenty of travel and bottom out with a feel that’s at once soft and defined. I instantly felt comfortable using it. The only quirks include small function keys (which didn’t bother me) and a small right-side Shift key (which did). The touchpad follows the theme so far. It’s functional and enjoyable but doesn’t stand out from the crowd in either size or features. Competitors like the Razer Blade do offer a better touchpad experience overall, mostly due to a larger touchpad surface, but I found the Triton 500 perfectly responsive. The laptop even supports Windows Precision Touchpad drivers that make maximum use of multi-touch gestures. The Acer Predator Triton 500 goes for a 1080p G-Sync display with a 144Hz refresh rate instead of a higher resolution panel with a lower refresh rate. Whether that’s the right call will depend on the games you play. First-person shooter fans will love the extra fluidity, but a Civilization player might’ve preferred the crisp look of a 1440p or even 4K screen. Resolution is only part of the equation, however. Quality is at least as important. The Triton 500 didn’t blow us away. But, it looked good and did so while offering a matte screen that is easy to enjoy even in a brightly lit room. Our test results showed the Predator Triton 500 is at least as good as its prime competition. The contrast ratio came in at 910:1, which is better than the Razer Blade 15 we reviewed, and just behind the Asus ROG Zephyrus S GX701. Color gamut and color accuracy are right in line with the competition, as well. I did notice one strange result – a gamma reading of 2.5. This means the picture is a bit darker than it should be. This leads to noticeable shadow crush in some scenes. 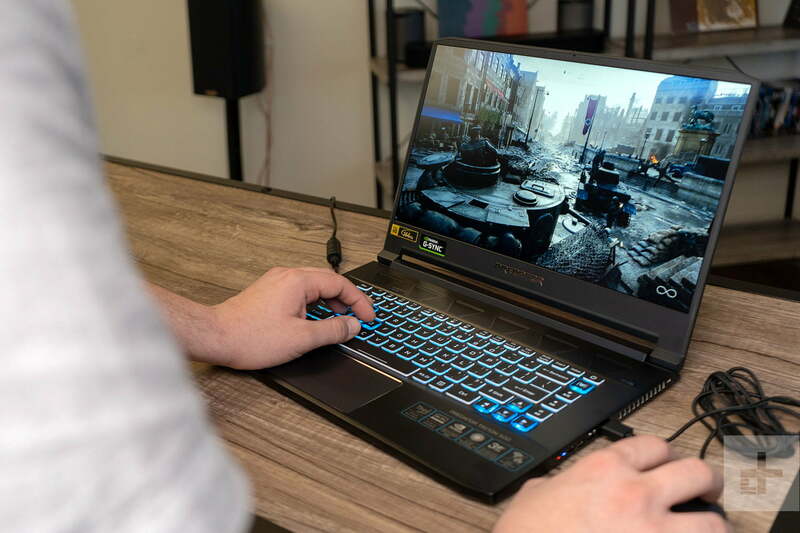 It might even be a problem for competitive gamers, because you may not be able to see an enemy in the shadows that would be visible on other laptops. However, gamma can be tuned in software or even in most games, so it’s not an unresolvable problem. My personal impressions lined up with the test results. 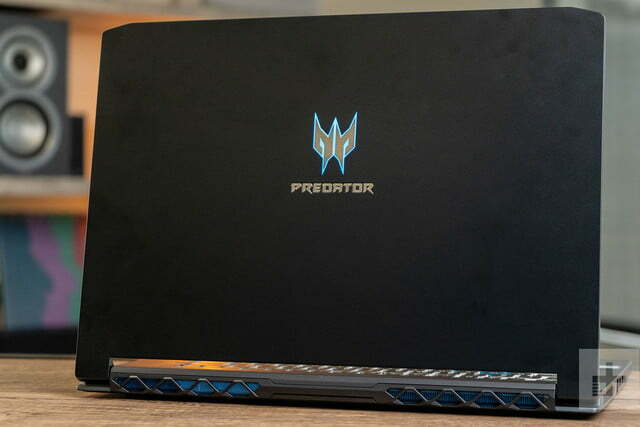 Acer’s Predator Triton 500 didn’t blow me away, but its visual quality is solid. It looks best in colorful, vibrant games like Fortnite, where its decent color accuracy and contrast help the graphics stand out. 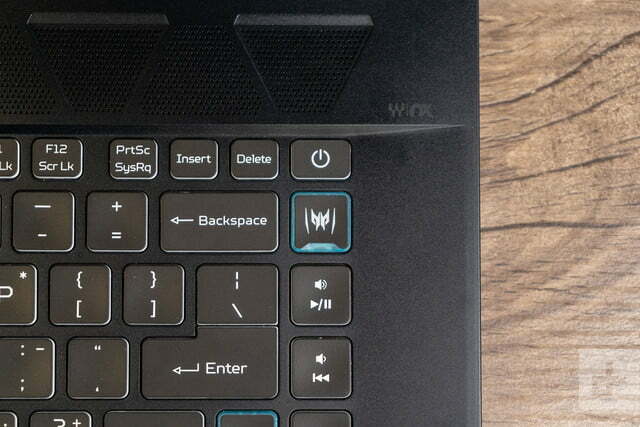 An upward-facing speaker system is positioned above the Acer Predator Triton 500’s keyboard. It offers a direct, unobstructed path towards your ears. Sound quality is clear is crisp, but severely lacking in bass. Maximum volume is low, as well. External speakers or a good gaming headset will be your best bet. 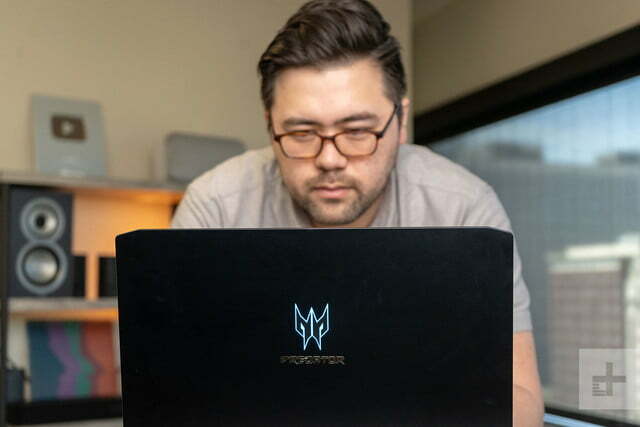 Acer ships the Acer Predator Triton 500 with the usual Intel Core i7-8750H, a six-core, 12-thread chip with a maximum turbo boost frequency of 4.1GHz. Most gaming laptops seem to use this chip, with the only exceptions appearing below $1,000 and above $2,500. Our review unit had 16GB of RAM, but Acer does sell a version with 32GB (but seriously, you don’t need 32GB of RAM to game). 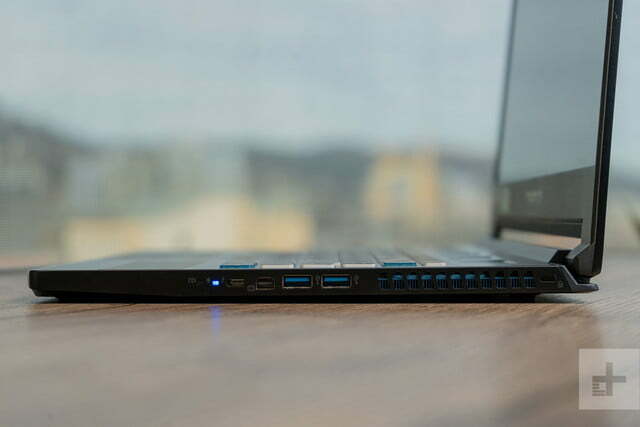 The Predator Triton 500 posts processor benchmark scores that, like the rest of the laptop, don’t stand out from the crowd. 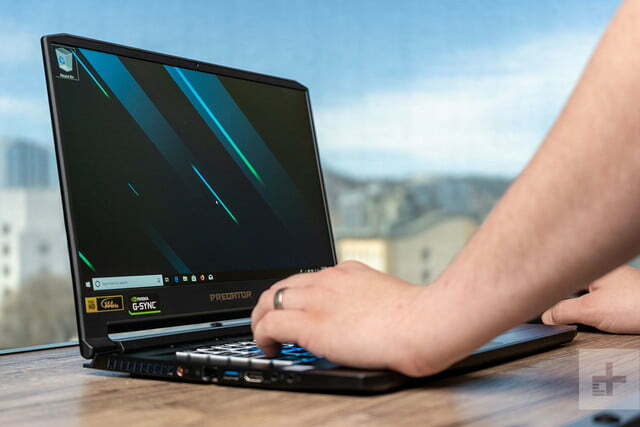 The Geekbench 4 multi-core score of 19,263 is below the Lenovo Legion Y740 or Asus ROG Zephyrus S, but better than the Razer Blade (2019). Using Handbrake to test video transcoding doesn’t change the story. The Acer Predator Triton 500 needed 155 seconds to transcode a 4K trailer from h.264 to h.265, behind competitors from Asus and Lenovo but ahead of the Razer Blade. 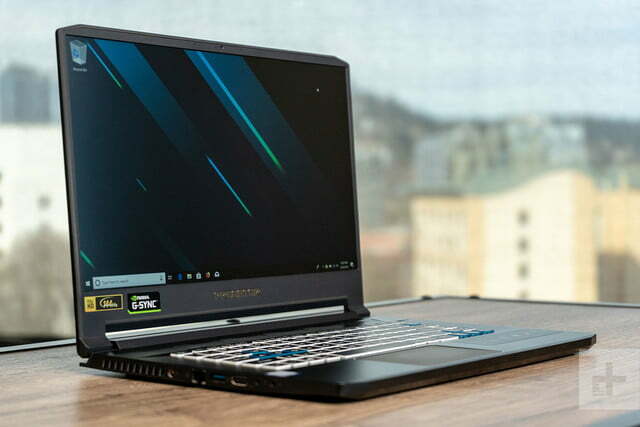 The Acer Predator Triton 500 exceeded 60 frames per second in every game except for Assassin’s Creed Odyssey. 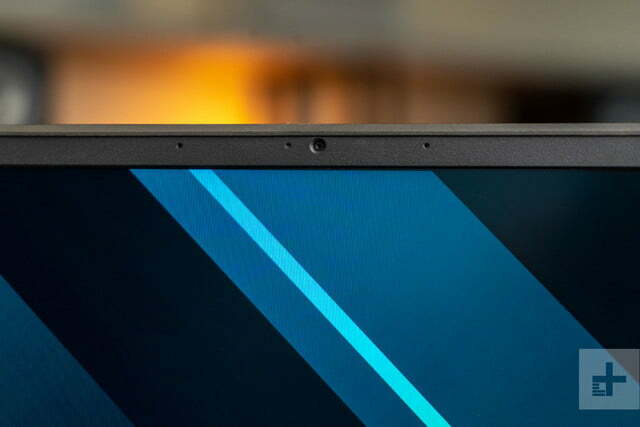 All this might sound a disappointing, but it’s worth noting the Triton 500 is a smaller laptop than the Legion Y740 (which is thicker) and the Asus ROG Zephyrus S (which as a 17-inch screen). The Razer Blade is the most direct comparison here, and the Acer does score a win against it. We also tested the 512GB solid state drive with Crystal Disk Mark. It hit read speeds of 1,337 megabytes per second (MB/s) and write speeds of 1,058 MB/s. Most competitors are slightly faster because they use Samsung 970-series NVMe drives. The Acer, meanwhile, uses a Western Digital SN720 NVMe drive, and it can’t quite keep up. It’s fast, just not quite as quick as the competition. 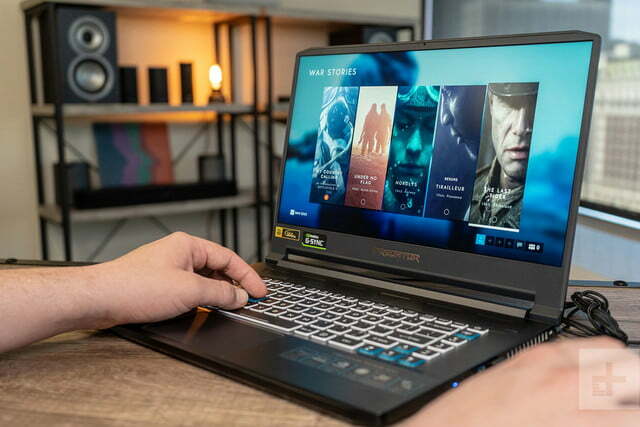 The base Acer Predator Triton 500 sells for $1,800 and comes with a Nvidia GeForce RTX 2060 Max-Q graphics chip, but our upgraded review unit came with an RTX 2080 Max-Q. That bumps the price up to $2,500, but that’s standard for a laptop with Nvidia’s top-tier graphics chip. Let’s see how it performs in 3DMark. Legion Y740 15-inch. However, the Asus ROG Zephyrus S GX701 sails by the Acer Predator Triton 500, achieving a score of 7,944. That’s a bit troubling because it, too, has the RTX 2080 Max-Q hardware. The Acer will have to do better in real-world gaming if it hopes to hold out. It’s time to dive into the games. The Acer Predator Triton 500’s Nvidia GeForce RTX 2080 Max-Q delivers strong, though sometimes muddled, results in our benchmarks. 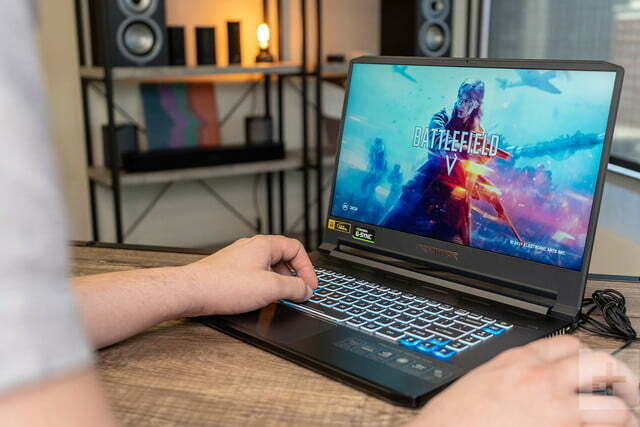 Its prime competition in our tests is the Asus Zephyrus S GX701, a 17-inch system with the same RTX 2080 Max-Q and a higher $3,300 price tag. The Triton 500 trades blow with that system, edging a small win in games like Battlefield V and Civilization VI but losing in Fortnite and fighting to a virtual tie in Assassin’s Creed: Odyssey. That’s a positive result for the Acer, which retails for an incredible $700 less than the Asus Zephyrus S GX701. That said, the results are more confusing than you might think. In Fortnite, for example, the Acer Predator Triton 500 performed about the same as laptops with the RTX 2070 Max-Q. A similar story is told by Assassin’s Creed: Odyssey at 1080p and High detail. There, the laptops also perform similarly, suggesting processor limitations may be holding everyone back. 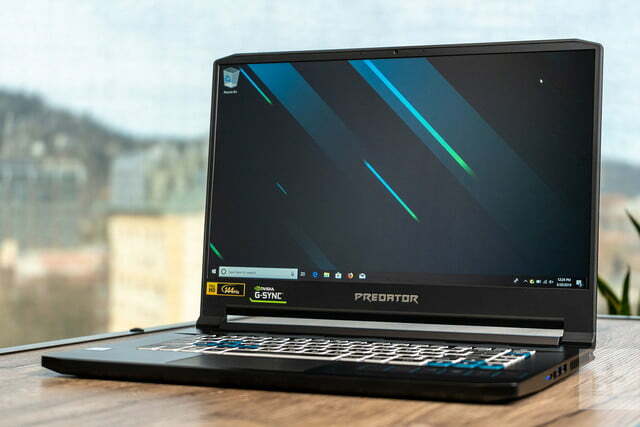 Here’s the key result; the Acer Predator Triton 500 exceeded an average of 60 frames per second in every game except for Assassin’s Creed: Odyssey at ultra-high detail, which came up a hair short at 57 frames per second. This unfortunately means you won’t always get the most out of the 144Hz G-Sync panel, but you will see smooth gameplay even in the most demanding games sold today. That’s impressive for a thin laptop that’s also (relatively) affordable. We also tested the laptop with an external 4K monitor. The increase in resolution tanks the framerate, making a 60 FPS average obtainable in games like Battlefield V or Assassin’s Creed Odyssey at only the lowest detail settings. Fortnite can hit 60 frames per second at high detail, but even it slips to 44 FPS at Epic detail. Surprisingly, heat never felt like a major issue. You won’t want to game with this laptop on your lap, as is true of any high-end gaming laptop, but the keyboard was reasonably cool in all situations. Fan noise was noticeable, but lower than some of the Triton 500’s peers, like the Asus Zephyrus S GX701. The Acer Predator Triton 500’s inclusion of G-Sync decreases battery life in normal use because G-Sync is not compatible with Optimus switchable graphics. That means the Nvidia RTX 2080 Max-Q chip is always engaged and consuming power. Like some of its peers, such as the Asus Zephyrus, a software toggle can be used to turn off G-Sync and enable Optimus. That requires a system restart, however, so it’s not convenient. Battery life in stock settings (with Optimus off) is quite bad. Even the video loop doesn’t break four hours. Most modern laptops easily exceed eight hours in that test. With that said, the battery life is better than the worst laptops we’ve seen. 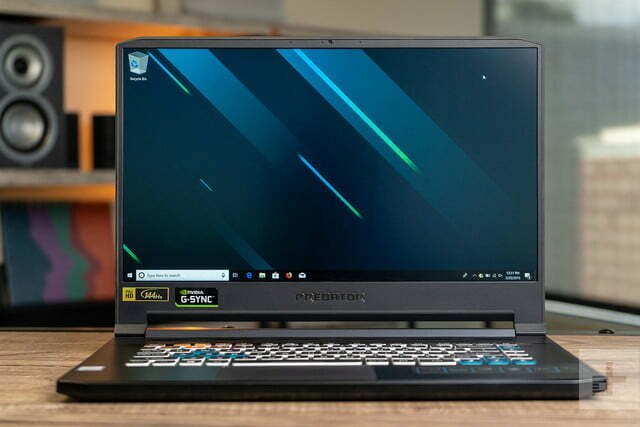 The Acer Predator Triton 500 lasts only three hours in our web browsing benchmark, but the Lenovo Legion Y740 15-inch and Asus Zephyrus S GX701 didn’t break an hour and a half. Yes, the Optimus toggle exists, but it’s a real hassle to use. It’d be nice to see Acer offer an alternative display option that drops G-Sync but increases resolution. Even a 4K screen would likely turn in battery life results that beat what we see here. 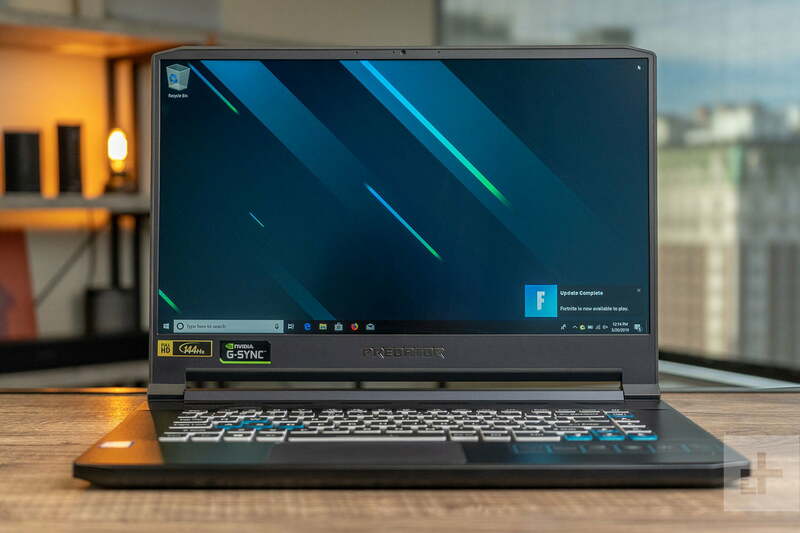 The Acer Predator Triton 500 is a powerful yet thin gaming laptop that highlights the problems today’s top gaming laptops face. 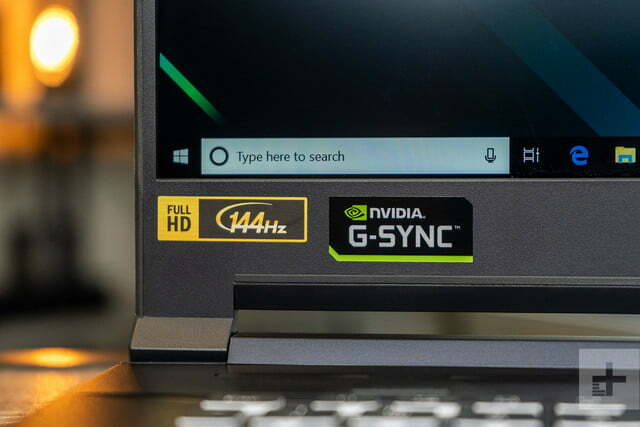 The push for higher refresh rates and G-Sync has caused issues with battery life, however, which makes the laptop less portable than its size and weight might lead you to believe. Many alternatives are available, but most aren’t as affordable. Only MSI ships anything in the same league. Most competitors, like the 15-inch version of the Asus Zephyrus or the Razer Blade, are much more expensive. Other possible alternatives, like the 15-inch Lenovo Legion Y740, don’t offer the RTX 2080 Max-Q. Razer’s Blade remains our favorite pick among gaming laptops, but you’ll have to spend $500 more to obtain roughly similar performance. 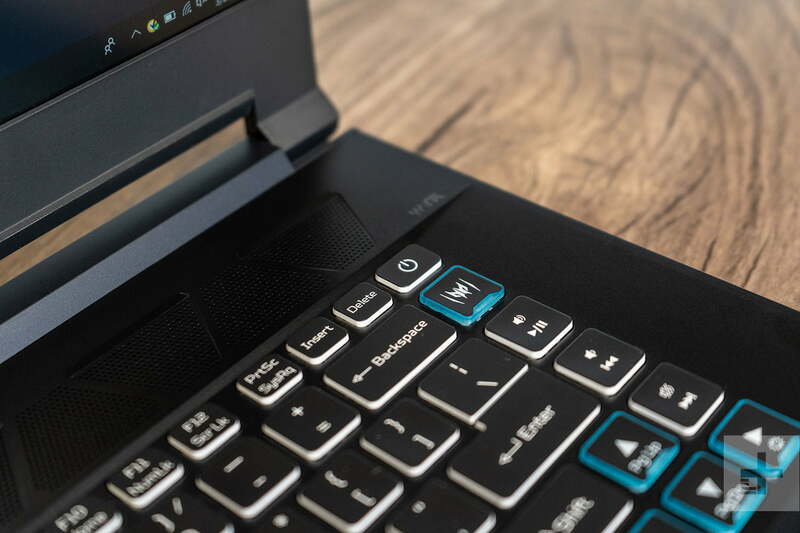 The extra scratch will net you a sleeker, more attractive system – but value shoppers will prefer the Acer Predator Triton 500. 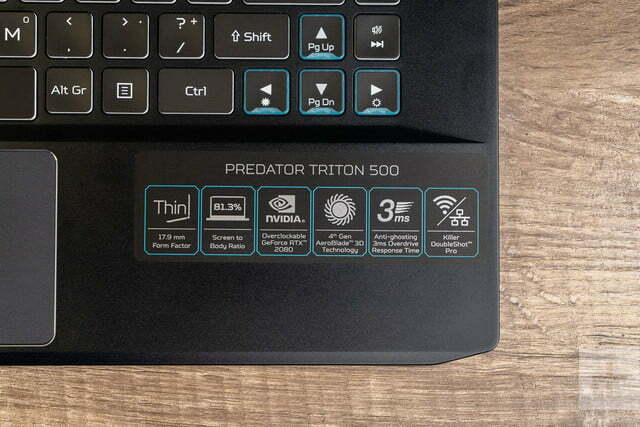 The high-end hardware in the Acer Predator Triton 500 will keep it running for years. Even the RTX 2080 Max-Q will likely remain relevant for three to five years. A two-year warranty comes standard, which is better than the usual one-year warranty found on most laptops. That’s a nice bonus. Yes. 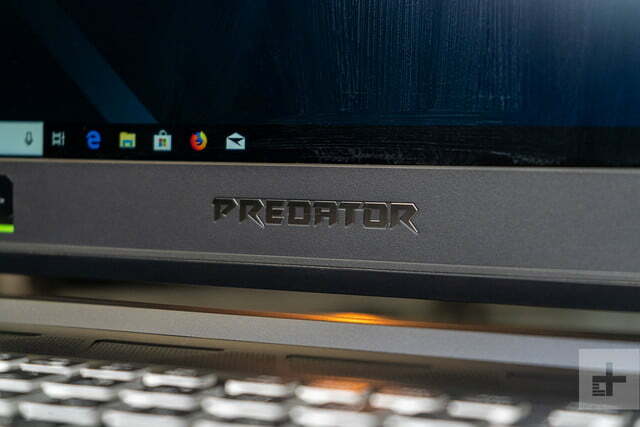 The Acer Predator Triton 500 may be hobbled by its short battery, but its competition shares the same injury. Gamers looking for serious performance at minimum price need to put the Triton 500 on their short list.